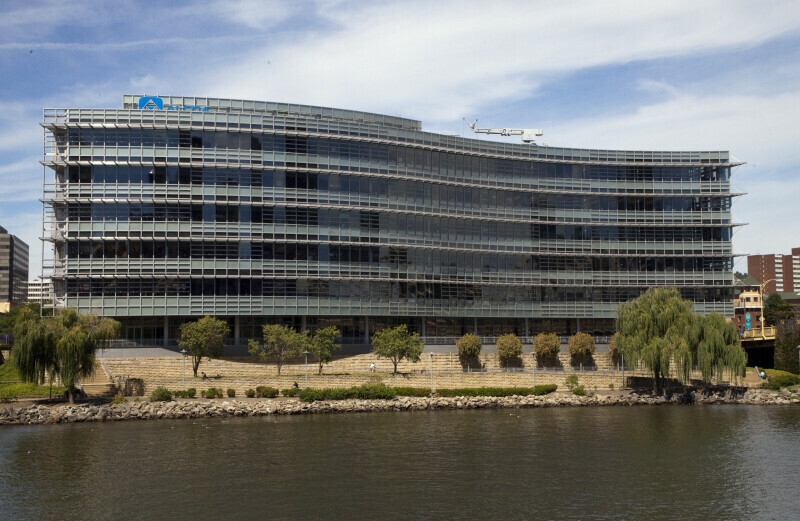 The Alcoa Corporate Center in Pittsburgh, Pennsylvania on the Allegheny River. The company is the world's leading producer of aluminum amd fabricated aluminum. The building was constructed with 800,000 pounds of Alcoa aluminum, and consists of 6 floors. Pittsburgh is known as "The City of Bridges" and "The Steel City" for its many bridges and former steel manufacturing base.